The first look at season 5 of Gotham, subtitled A Dark Knight, has finally been revealed after premiering at New York Comic-Con. Though Gotham isn’t quite as popular as The CW’s DC series like Arrow and The Flash, that didn’t stop the Batman prequel from earning a fan base that sustained the show for 5 seasons. Though Batman has yet to show up in the series, given that Bruce Wayne is still quite young in the show, the new series seems to be teasing the closest fans will get to seeing him. Fox finally premiered the sizzle reel at New York Comic-Con this weekend but luckily the clip has been released online for all fans to enjoy. The trailer will catch fans up on many of the important events from past seasons before delivering an action-packed first look at what the final one has in store for viewers. Check out the exciting footage below. As seen in the banner at the end of the trailer, Bruce towers over Gotham City donning a cape and costume. This upcoming fifth season will be the final one for the series and it looks like they’re throwing everything at the wall to see what sticks. Bane has been announced to be playing a key role, as have the mutants from The Dark Knight Returns, so it’s certainly shaping up to be an exciting series for fans of Batman. We’ll be sure to keep you updated on all news regarding Gotham season 5 as more information becomes available. Are you a fan of the series? What’s your opinion on the sizzle reel above? Let us know your thoughts in the comments below! 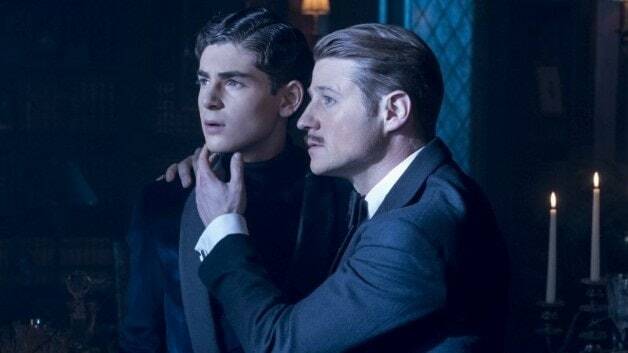 Gotham currently airs on Fox and stars Ben McKenzie, Morena Baccarin, David Mazouz, Camren Bicondova, Sean Pertwee, Robin Lord Taylor, Cory Michael Smith, Donal Logue, Chris Chalk, Erin Richards, Jessica Lucas, Nathan Darrow, Michelle Veintimilla and Cameron Monaghan.